Gordon & MacPhail are a family run independent bottler, founded in 1895. The Urquhart family run the Elgin based business in the north east of Scotland. This Balblair 21 year old single malt forms part of the Gordon & MacPhail's Highland Collection. Balblair is an eastern Highlands distillery, one of the oldest in Scotland, founded in 1790. The distillery itself is renowned for its fruity whiskies and vintage-based releases. 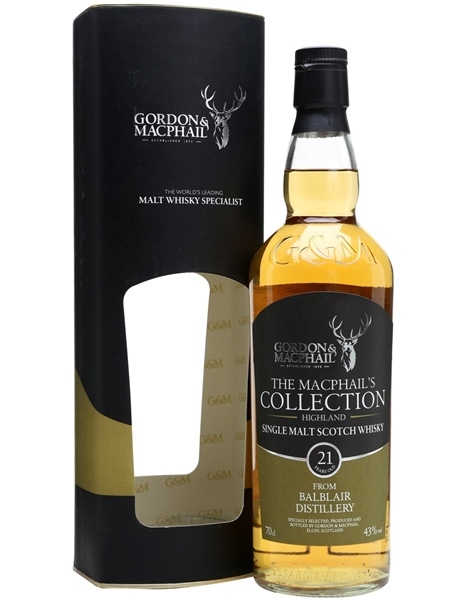 This Gordon & MacPhail release has been matured in refill American hogsheads. Like the rest of the Collection releases it is bottled at 43% ABV.